ANDHRA Pradesh Chief Minister Nara Chandra Babu Naidu and West Bengal Chief Minister Mamata Banerjee will be among the non-NDA leaders who will address a massive rally in the Southern State on March 31 to campaign for the ruling Telugu Desam Party trying to retain power in the state as well for Lok Sabha elections.”By the end of this month, she will visit Andhra Pradesh for a day or two to campaign for N Chandrababu Naidu. 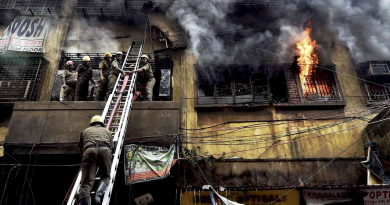 It is part of opposition unity that we all have worked for in the last few months,” said a senior TMC leader. Banerjee will be campaigning for Naidu in some constituencies of Andhra Pradesh. 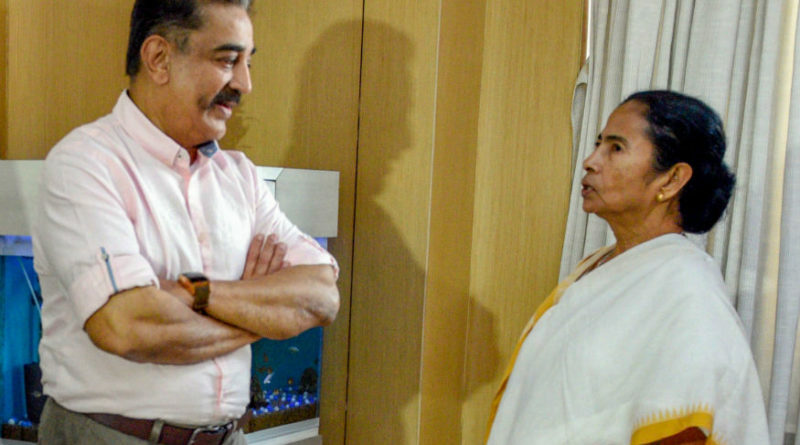 The TMC supremo shares the same chemistry with her Andhra Pradesh counterpart who was among the opposition leaders had taken part in the January 19 mega opposition rally organized by TMC at the Brigade parade grounds to oust BJP led NDA government from the centre. Later, Naidu had come to Kolkata again in February to express solidarity with Banerjee when she was on a dharna to protest against CBI’s attempt to question the then city police commissioner Rajeev Kumar. 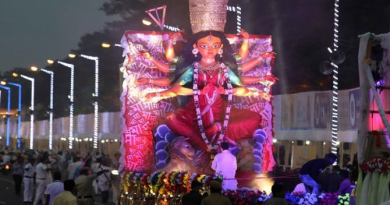 Banerjee will also travel to Assam, Jharkhand, Bihar where TMC has put up candidates for the Lok Sabha poll commencing from April 11 in seven phases across India.TMC will contest for three seats in Jharkhand, one in Andaman, six in Assam and two in Bihar. Banerjee had announced the names of her party’s candidates for Jamshedpur, Rajmahal and Ranchi in Jharkhand, Karimgunj, Silchar, Dhubri, Kokrajhar Barpeta and Guwahati in Assam, Kisanganj and Maharajgunj in Bihar and in Andaman on March 13 while announcing the list of TMC nominees for West Bengal. She is eyeing the Bangla speaking people in these states and the Union Territory of Andaman & Nicobar Islands. Veteran actor producer Kamal Hassan has entered into an electoral alliance for the A &N where several lakh Tamil and Bangla speaking people are residing. 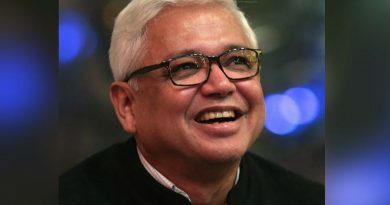 Grandson of ex- Congress MP from Andaman Ayan Mandal is TMC candidate. 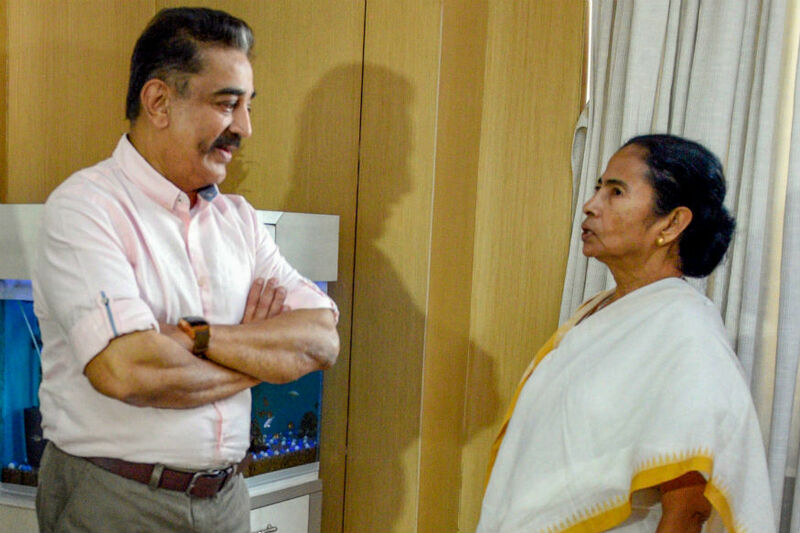 Haasan met Mamata Banerjee on March 25 in the state secretariat Nabanna and it has been decided that the Makkal Needhi Maiam (MNM) president along with Trinamool Congress (TMC) MLA Sujit Bose will address a huge public meeting in favour of TMC’s Andaman Lok Sabha candidate Ayan Mondal on April 6.